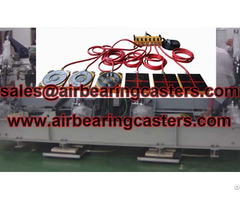 Air casters capacity from 3 tons to more than 100 tons, special demand can be customized. 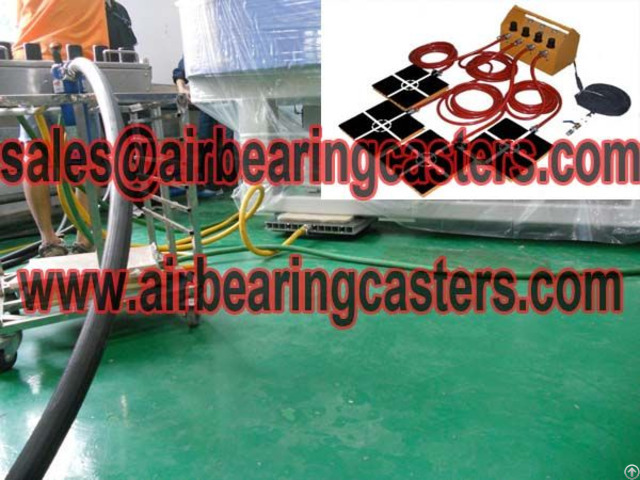 Air casters is one kind of moving and handing tools applied on moving heavy loads in cleaning rooms or other special industry areas. Air skate can let the load float on the film of air, virtually friction freely. So, it is very flexible to relocation or move your devices. 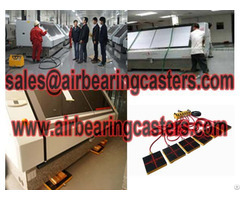 Air bearings casters can move any equipment with any size, any shape, any weight. Air film transporters suitable for any shape of machinery, it has four or six pieces woulds which can hold from 2.5 tons to 8 tons. 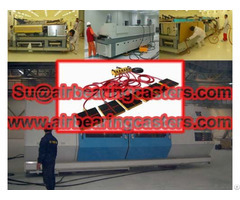 Air casters capacity from 3 tons to more than 100 tons, special demand can be customized. and can be set up to fully functioning less than 10 minutes. Air rigging systems capacity from 10 tons to 48 tons, more or less capacity can be customized as demand.